I’ve attended many tech shows over the years, but this year’s CES has more energy than any I’ve attended in a long time. Part of the energy is the breadth of products. There are amazingly slim TVs that make my TV at home, which I thought was slim, look fat. And, there are beautiful 8K TVs that make my new 4K one feel old. I’m seeing all manner of smartphones. 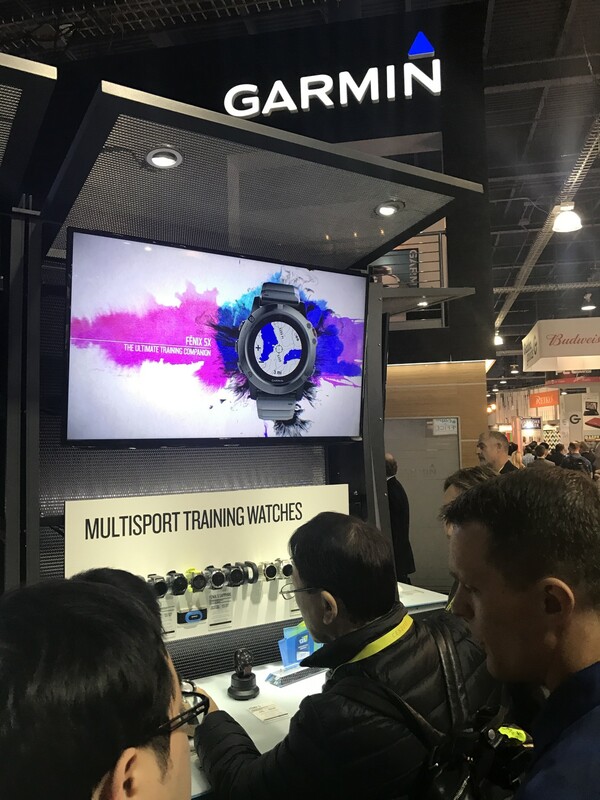 I’m seeing mobile remote presence devices such as the one from Beam, and after seeing the latest Fenix 5 from Garmin, I think I’ve found my next smartwatch. There are many differing devices and approaches to VR and AR. There are drones everywhere. And, lots of massage chairs. There are also plenty of products, let’s call them longshots, that contribute to the Wild West feel of the show. Maybe you’d like the Hydreon FakeTV, a small device to make it seem like a TV is on in your house to keep away burglars? Or Dr. Fuji’s Body Shaper, a vibrating platform to “accelerate your workout”? Another part of the dynamic feeling is the breadth of vendors. Almost all the big tech vendors are here, except for Apple, of course. The excitement for me, however, is the small vendors displaying things that may well never see the light of day, but give glimpses of the future. 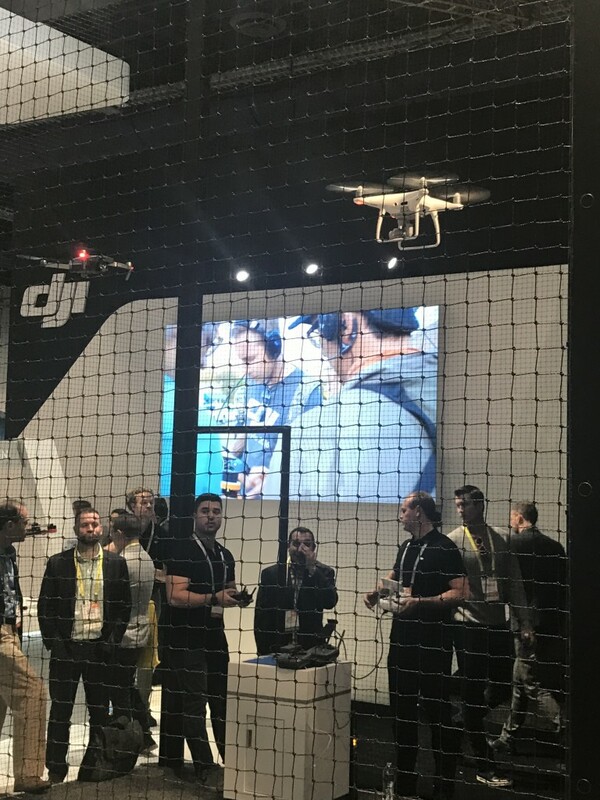 For example, while I doubt most of the drone vendors at CES will be around in a few years, I think the trend toward small, inexpensive selfie drones will be. The main reason for the energy at this year’s CES could be the convergence of multiple big industries. The most obvious example of this phenomenon is the large auto presence. Cars have been at CES before—the first time I drove my current car, a BMW i3, was at CES 2014—but this time around they seem to really want to make a statement. 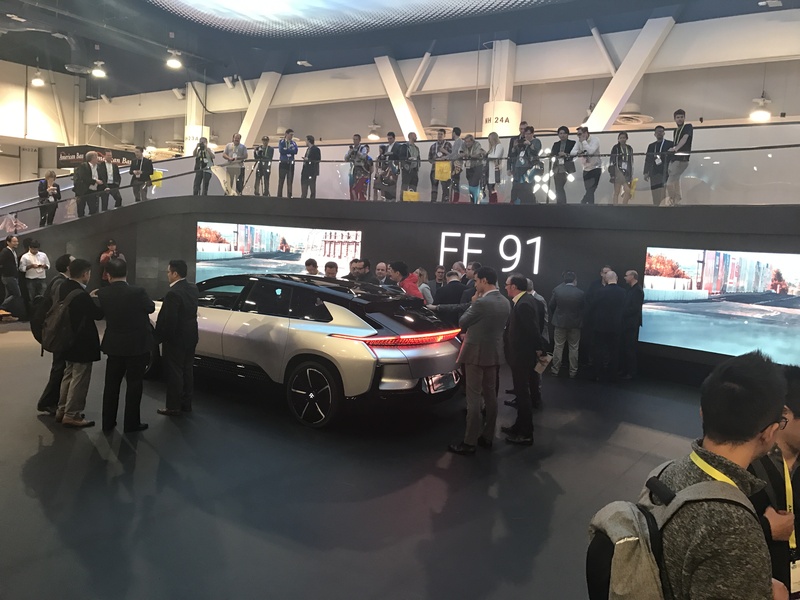 Faraday Future is making a splash by trying to be the next Tesla with its FF91. Multiple vendors, including VW, Nissan, Toyota, and Mercedes, have concept cars on display—most of them are electric and all of them are heavy on technology. The biggest tech they’re touting is autonomous driving. The auto companies are showing their products while companies like NVIDIA, Intel, and Magic Eye are displaying the tech they have as well. Regardless of the source of the energy at this CES, I see many opportunities for the existing XPRTs to continue to be important resources. I also see how important emerging technologies like machine learning and VR/AR are going to be and how the XPRTs can be of help there as well. Posted in Augmented reality, CES, Drones, Future of performance evaluation, Trade Shows, Uncategorized, Virtual reality | Bookmark the permalink. Follow comments with the RSS feed for this post.Post a Comment or leave a trackback: Trackback URL.